Kloneworld, an entertainment company that allows people to make lifelike animations of themselves (klones), has launched its website www.kloneworld.com today. Founded by CEO Ajay Sharma and Director of Technology, Gurjit Sidhu in March 2012, the Singapore-based company has since partnered with Cartoon Network and Green Gold Animation to create personalized products based on some of their most popular franchises. Most recently, in July 2014, Kloneworld, has collaborated with Green Gold Animation on Chhota Bheem, India’s most famous animated character, and has created a new character, Klinja. Using Kloneworld’s technology via their website or app, kids can become the superhero Klinja and go on adventures together with Chhota Bheem in animated movies, toys and comics. This transformation is made possible through a combination of 3D printing and face capture technology that helps Kloneworld produce both lifelike virtual products like animations, as well as physical products like toys, comics and figurines. According to CEO and Founder Ajay Sharma, Kloneworld began on the premise that children should have access to a safe and fun platform for learning and entertainment, especially in today’s world when violent and unsuitable content is just a few clicks away. Though it was conceived as an offering for kids, Kloneworld is not just for children. It is also suitable for adults and parents who are looking for immersive and personalized edutainment products like animations, comic books, 3D printed toys, miniatures and memorabilia. To make your own Klone, please visit http://www.kloneworld.com/makeklone. Founded in 2012, Kloneworld Entertainment Pte Ltd aims to entertain and delight people everywhere with personalized products and services, both online and offline, all with a simple selfie. With our commitment to providing a safe and engaging environment for people to learn, grow and have fun, we are constantly working on animations and other products that both educate and entertain. 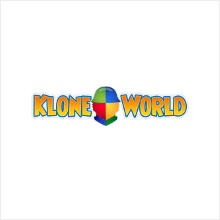 To experience the magic of Kloneworld, visit us at www.kloneworld.com, download our app, or visit one of our stores near you. Rikvin is proud to be a Singapore company registration and compliance partner of Kloneworld.